Unlock years of great vacations among the crystal-white beaches and swaying palms of Miami at the Hilton Grand Vacations South Beach resort. Find discounted timeshare accommodations at the resort today with SellMyTimeshareNow.com. Originally called Hilton Grand Vacations South Beach until its name changed to Hilton Grand Vacations McAlpin-Ocean Plaza, this luxury resort brings all of Miami right to you. 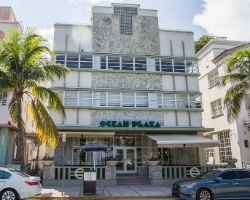 With that signature Art Deco design lining the building and its well-appointed suites, you'll be totally immersed in the South Beach lifestyle as soon as you arrive. Located in a desirable area not from from the beach, you'll have a world ripe for exploring just beyond your door. The accommodations at the McAlpin-Ocean Plaza are split between one and two bedroom suites. Perfect for couples, families, and small groups like bachelor or bachelorette parties, the tasteful Art Deco design fills the suites with that Miami Beach ambience. In-unit amenities like full kitchens, free WiFi, and modern entertainment systems ensure that each and every guest in your party will be comfortable and able to enjoy their trip. Do you want to learn more about how you can make yearly accommodations at the Hilton South Beach resort a reality? Fill out the form on this page or call 1-877-815-4227 today to find out how the timeshare resale and rental advertisements at the resort can change the way you vacation forever. Buying a timeshare at the Hilton South Beach resort on the resale market won't only give you guaranteed accommodations in Miami every year, but it will enable you to save thousands of dollars in the process. 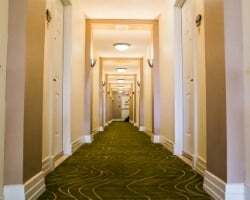 Timeshare resales are listed for-sale-by-owner, meaning the price of vacation ownership is often drastically discounted. It's common to find resales at resorts like the HGV South Beach priced up to 70% lower than retail costs. What's more, you're getting the same product for much less. Typically available in both deeded timeshare weeks and points, Hilton South Beach timeshare resales are available in Gold and Platinum seasons, giving you plenty of options and price points to consider when making a purchase. Additionally, resales at the resort are eligible for HHonors points, Hilton's loyalty rewards program. The Hilton South Beach is affiliated with Hilton Grand Vacations Club (HGVC), one of the most resale-friendly timeshare brands in the industry. While resale buyers can't enter the club at the Elite level, Hilton doesn't impose any other significant restrictions on those who buy resale at the South Beach resort. With your timeshare resale, you can make reservations at the McAlpin-Ocean Plaza immediately, but you may choose to upgrade your timeshare with HGVC to take advantage of perks like Hilton points and internal exchange with other Hilton resorts. The Hilton McAlpin-Ocean Plaza resort is also affiliated with RCI, the world's largest timeshare exchange company. You can pair your South Beach timeshare resale with a separate RCI membership to maximize your vacation ownership and travel around the world. With a Gold Crown rating from RCI, the McAlpin-Ocean Plaza will also likely bring in a higher trading power or more RCI points, which can open up more vacation possibilities for owners. 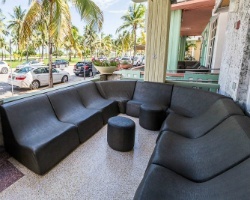 This Hilton Grand Vacations Miami resort employs a number of great on-site amenities to make sure every guest enjoys their stay in Miami Beach. For starters, you can relax in true Miami Beach style at the resort's rooftop deck, which comes complete with a hot tub overlooking the ocean. The on-site fitness center will enable you to stay on top of that beach bod during your stay, while room service easily solves dining dilemmas. The resort's location is its best amenity, putting you close to fabulous nearby attractions. In just minutes, you could be relaxing on South Beach, shopping at the Lincoln Road Mall, or dining at restaurants like Grillfish or Osteria del Teatro. 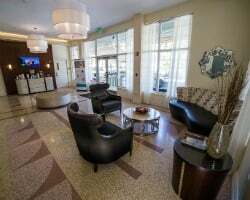 Whatever it is you seek to do during your trip to Miami, you can do it from the convenience of the Hilton McAlpin-Ocean Plaza. Already Own at Hilton Grand Vacations South Beach?